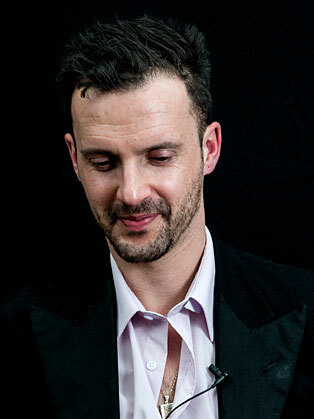 Dan Glass is an award-winning activist, educator, academic, performer, consultant and writer who was named as one of Attitude Magazine’s campaigning role models for LGBTQI (lesbian, gay, bisexual, transgender, interesex) youth. Dan Glass's experience provides a melting pot of campaign resources and a range of deep methods of transformation & empowerment for positive social change. An educator from the Training for Transformation educational programme born out of the Anti-Apartheid movement, the core of dan's work is the development of critical consciousness and creativity to spur people 'to read their reality and write their own history'. This serves to motivate action that transforms live’s impacted by oppression back into one of pride, dignity and self-determination. In the spirit of our elders in the anti-Apartheid struggle, dan's activism is inspired by the philosophy 'the biggest weapon in the hands of the oppressor is our minds' . His recent programmes involve MC'ing 'Shafted?!' a speakeasy led by people living with HIV and the 'Never Again Ever! Holocaust Survivors Cabaret'. Dan Glass is an award-winning activist, educator, academic, performer, consultant and writer who was named as one of Attitude Magazine’s campaigning role models for LGBTQI youth + a Guardian ‘UK youth climate leader’. 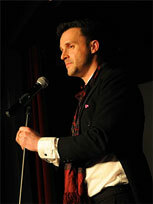 Dan is a Master of Ceremonies (MC) and public speaker on campaigning, activism and creative social change. Skilled in key areas of effective campaigning: from strategy, tactics, and targets to evaluating successful campaigns. An educator from the Training for Transformation educational programme born out of the Anti-Apartheid movement, the core of dan's work is the development of critical consciousness and creativity to spur people 'to read their reality and write their own history'. This serves to motivate action that transforms live’s impacted by oppression back into one of pride, dignity and self-determination. In the spirit of our elders in the anti-Apartheid struggle, dan's activism is inspired by the philosophy 'the biggest weapon in the hands of the oppressor is our minds' . His recent programmes involve MC'ing 'Shafted?!' a speakeasy led by people with HIV and the 'Never Again Ever! Holocaust Survivors Cabaret'. As the show 'Shafted?!' builds to a crescendo we feel the release of disclosure, celebration and sheer rebellion – the fight for social justice as well as the fight of the individual for recognition and acceptance. A unique voice from the heart of several significant storms who’ll inspire your socks off. The exuberance Dan’s passion for change is matched only by the depth of his rage and the warmth of his intellect.